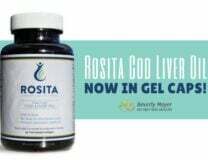 Rosita raw, extra virgin cod liver oil is a completely unique product. It’s so new, it’s 1000’s of years old. 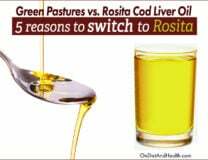 Rosita Cod Liver Oil is not “fermented” or soaked in a vat of brine like Blue Ice brand. It’s light gold in color, with a taste of freshly sautéed fish. I have found it doesn’t burn the throat or cause digestive problems. This superior, non-rancid product has a high ratio of anti-inflammatory Omega 3 DHA to EPA. DHA is more important than EPA but few products contain this “reverse”ratio. Extra virgin cod liver oil contains its natural Vitamins D and A, with no synthetic Vitamins added to boost the quantity on the label. Who created this unique oil? I spoke with Archie Welch, co-owner of Corganic, a supplier of foods and supplements for those with autism. Corganic used to carry Green Pasture products but no longer do. For very personal reasons, Archie began a quest for fresh, non-oxidized, raw, exuded cod liver oil – premium oil as we believe the Vikings made in the winter. No one was interested in this type of oil – not even the Norwegians – until Archie found Rosita, a small family-owned Norwegian company making premium Ratfish oil. Rosita co-owner Bengt Svensson understood the request: make fresh raw cod oil more suitable for children on the Autism Spectrum and others with delicate digestive and detoxification systems than anything on the market. What are Biogenic Amines doing in my Cod Oil? Biogenic amines such as Histamine can be found in many fermented, leftover, or non-fermented foods. People with compromised immune, neurologic or digestive systems may have a hard time clearing toxic amines. The presence of amines in a food may indicate spoilage or oxidation. People with sensitive systems do not have proper gut flora to clear biogenic amines which can sometimes cause violent reactions: vomiting, diarrhea, cramps, eczema outbreaks, rashes, itching, allergic responses, etc. I have read reports of these reactions in fermented cod liver oil users. 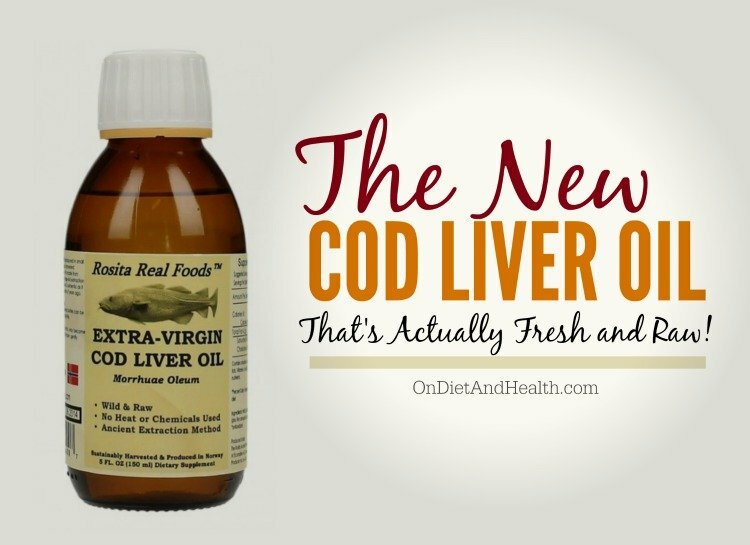 How is extra virgin cod liver oil collected? Cod from specific ocean areas and depths have the best quality livers. These cod are carefully taken by Rosita’s company-owned boats. There are no middlemen and no transport to an American factory as Blue Ice does. With only the shift in temperature (and the change in pressure from water to air), the oil is allowed to drain from the extracted livers as soon as the boats come to dock. The fish are never frozen, but kept as cold as if they were still in the water. When the livers are finally exposed to ambient air temperature on land, they release the oil without being chemically or mechanically processed or heated. Or brined. The oil is immediately bottled in vacuum-sealed conditions. It is fresh new oil, not aging in 10,000 gallon vats. Nothing is added or removed. To protect the oil from oxidation, a bit of Rosemary and Vitamin E are added as antioxidants. Other cod oils have no antioxidants, and worse, may be highly oxidized and aged before they are bottled. Or are so highly processed and filtered that they are no longer a raw food. Ancient evidence suggests that raw oil was harvested by the Vikings at the peak of the winter fishing season, when they most needed the rich supply of Vitamins A and D and the concentrated energy from fat. Off-peak (non-winter) livers could be kept in brine barrels to slowly deteriorate, allowing the oxidized oil to separate from the meat and fluids. This oil could be used for lamp fuel, coating boats and tools, and for general lubrication. It could also be consumed if supplies of “the good stuff” ran out. Did you know? Fish from the Southern Hemisphere have a higher EPA to DHA ratio than Northern fish. Wild Norwegian cod do not swim south (but might be farmed there). Their natural oil in native waters yields a rare 1:1 ratio of EPA to DHA. Could this be one key to the fabled powers of extra virgin cod liver oil? 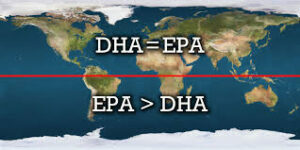 Ratios of EPA to DHA in the familiar range of 2:1 will be found in farmed fish, Southern fish, and fish that are not the correct species of cod. 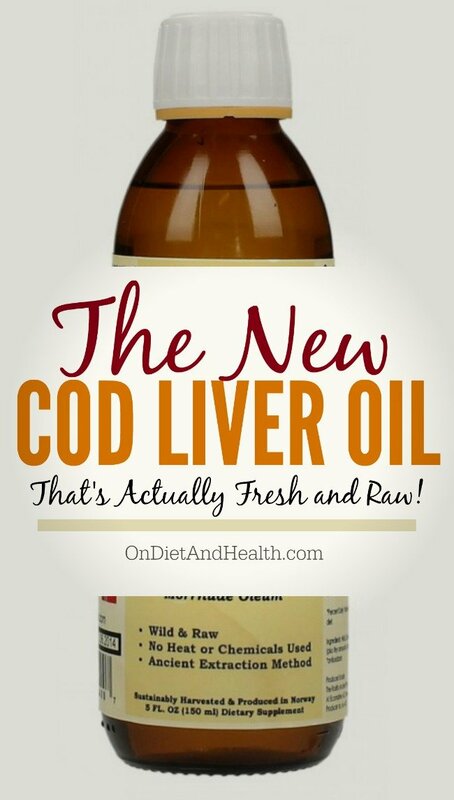 Check your cod oil label and see what ratio you have…. I have consistently found in my clinic that DHA works better than EPA. DHA is what babies need for developing nervous systems, and what adults need to keep our brains, joints, eyes, heart and the other necessary bits working without inflammation. It’s in my online store, and goes perfectly with our Walkabout Emu Oil for the Vitamin K2 that Vitamin D requires to work properly. We also sell this K2 to take along with Cod or any other source of Vitamin D. Take K2 daily, for life…. 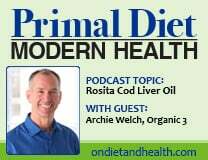 After listening to our podcast interview from the link at the top of this post or from my iTunes page for Primal Diet – Modern Health, go to the website dedicated to “extra virgin cod liver oil” called evclo.com. Read the interesting and detailed FAQ’s on EVCLO’s website for much more. Who else has written about this? Dr. Kaayla Daniel published her research on this topic and is available here. 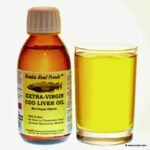 Also check the following article from the GAPS-oriented Nourished and Nurtured blog on why that writer stopped taking fermented cod liver oil.